When you’re traveling it is often nice to wander around in a museum or an art gallery, but when you’re in New York City it is a necessity. Some of the world’s very best museums are here. While in Manhattan be sure to see the fossilized dinosaur bones and the other fascinating wonders of the Museum of Natural History. Next when you are craving some art head over to the Metropolitan Museum of Art (or the Met as New Yorkers call it ) to see fantastic art work that ranges from ancient Egyptian paintings, painting from the masters like Monet, Renoir, and Caravaggio, and modern works by celebrated artists like Jackson Pollack. If Jackson Pollack isn’t modern enough go to the Museum of Modern Art. 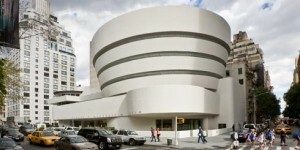 Other fantastic museums around New York to visit include the Guggenheim Museum, the Brooklyn Museum and the myriad of small galleries that are dotted all around Manhattan and Brooklyn. New York City isn’t the only star when you come to visit there is the surrounding country side. If you drive 30 minutes outside of Manhattan you can find yourself within quaint towns surrounded by lovely scenery. These are the small satellite towns of New York and they offer a great refuge from the frantic, never stop energy of Gotham. In the fall people often head to New York’s Hudson Valley to visit towns like Sleepy Hollow and Cold Springs. These towns are great for seeing the leaves off of the tree and offer up a refreshing small town feel. There are great parks in the valley to see too like Highlands Gateway Park and Franklin D Roosevelt Park. In the summer New Yorkers regularly head down to the Hamptons. A veritable who’s who of the well to do, the Hamptons has long been a place for upper crust diversion. Look for other towns near to the sea and New York if the Hamptons don’t connect to your budget, there are several to choose from.